Airport and VTA receive a combined $11.75 million. 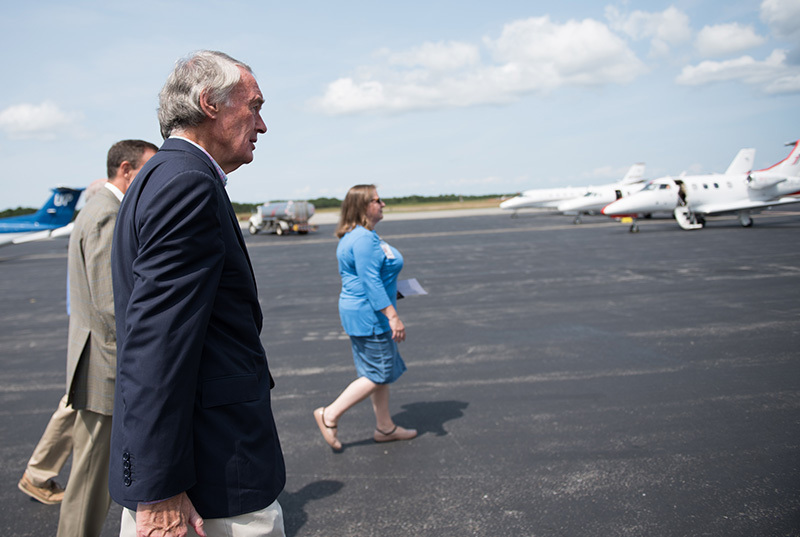 U.S. Sen. Ed Markey toured the Martha’s Vineyard Airport and Vineyard Transit Authority operations facility on Saturday. Both the airport and the VTA received federal grants, for airport improvements and to purchase electric buses for the VTA fleet. 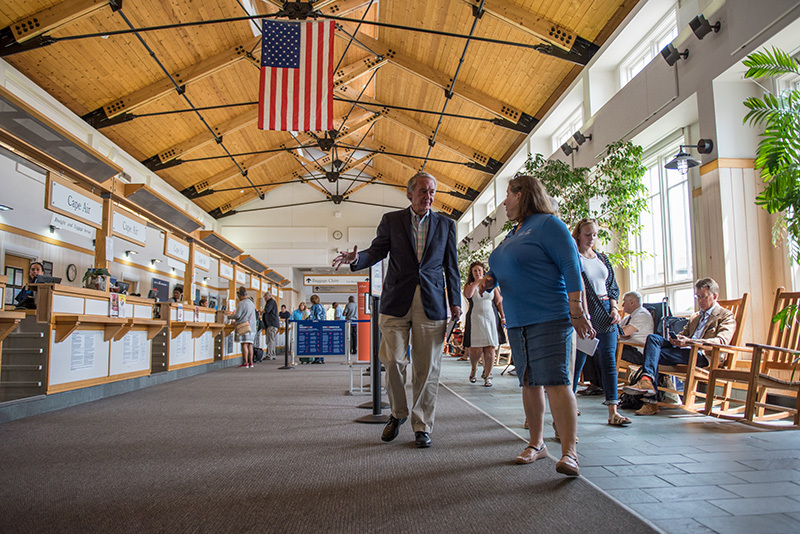 The airport has proposed to use the $10 million Federal Aviation Administration grant for improvements aimed at better handling the increasing flow of people through the airport at peak times. The money will go toward redoing the runway, which will reach its 20-year life expectancy this fall. 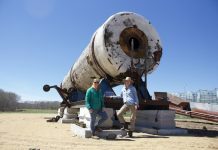 Work is expected to be finished in time for the 2019 summer season. It is the only runway that can accommodate commercial airliners. The airport now has American Airlines, JetBlue, and Delta landing there. There are also proposals to rework traffic patterns around the airport to free up congestion and expand the airport to accommodate the people moving through it. The airport has seen growing traffic in the past years. 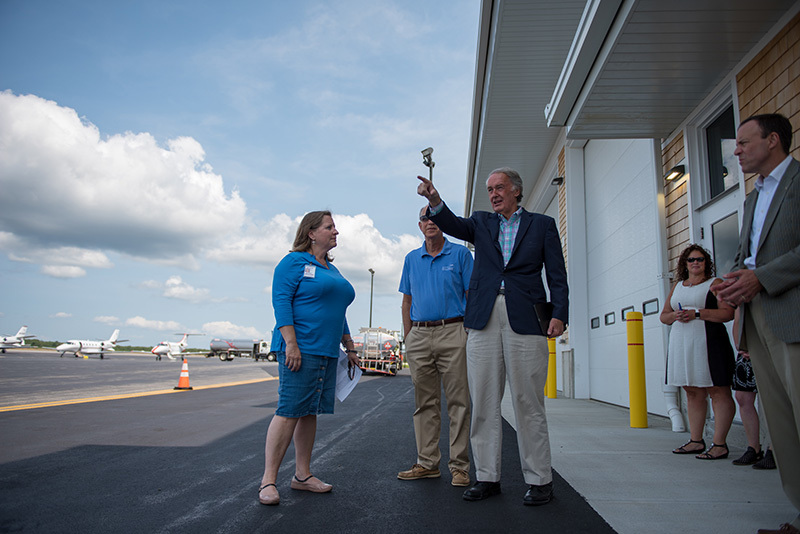 Ann Richart, the airport manager, estimated the facility sees 15 nonprivate flights land a day, and 50 to 100 private and charter flights daily. She puts 12:30 to 3:30 pm as the airport’s busiest time, serving around 300 people in that timeframe. It’s tricky to accommodate that short a surge in people, because it means that the facility will often have a low flow of traffic. 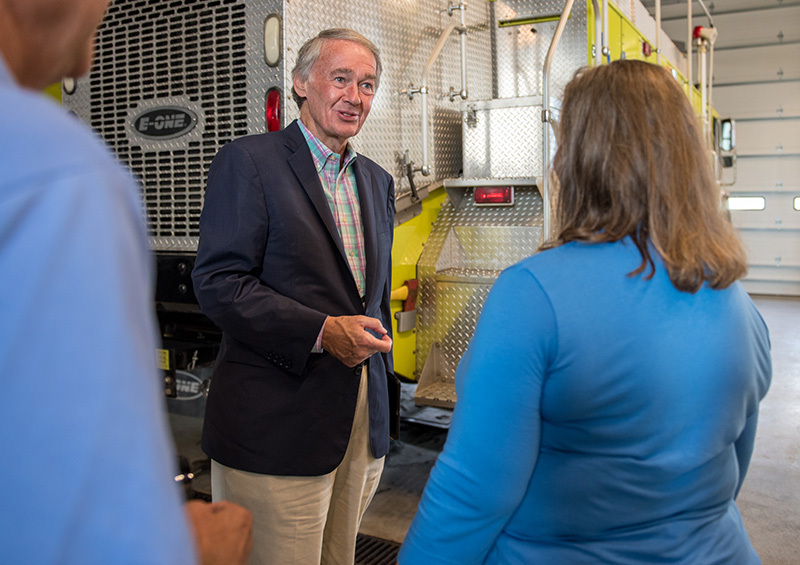 This grant is part of an $18 million federal assistance package; $8 million of the package was granted in 2016, and was given to replace the old firehouse with a modern facility. The new fire station was finished in November. Richart pointed out that a few of the trucks in the facility were nearing or past their usable lives. 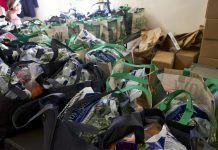 “Hopefully, we can get on a better cycle so we don’t have to do all these things at once,” she said. 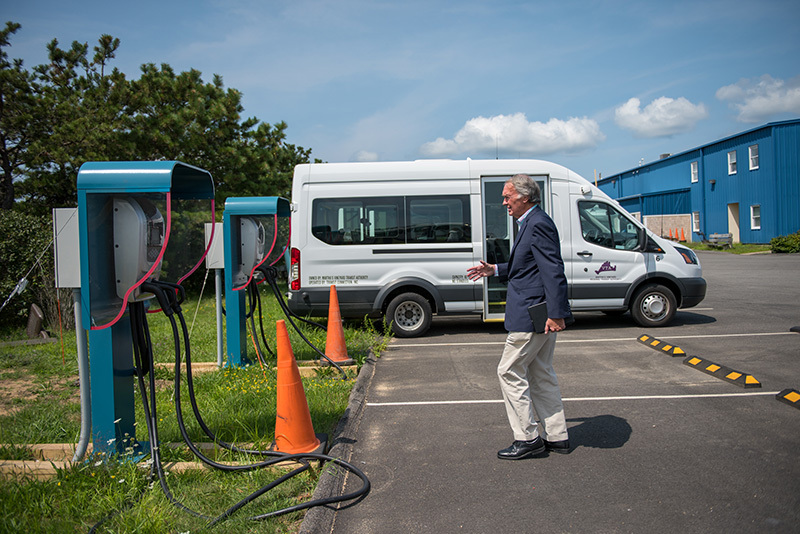 The Vineyard Transit Authority received $2.95 million in federal grants over the past two years to transition from diesel buses to electric. 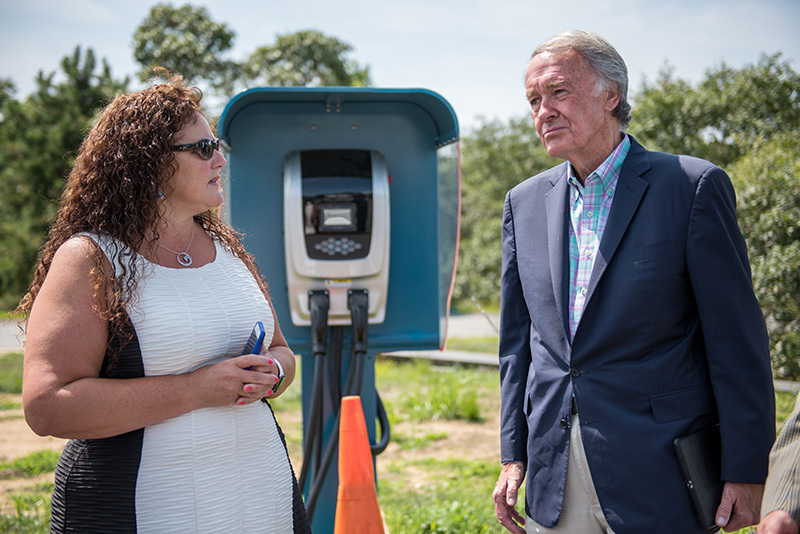 Of that sum, $1.2 million was part of the Low or No Emission Bus Project Funds for Martha’s Vineyard. With this grant money, the VTA purchased four electric buses. Currently, the fleet consists of 33 buses, and Angela Grant, the VTA administrator, estimated the entire fleet would be electrified in 5 to 7 years. The grant approved this August, for $1.75 million, will go toward charging stations, called inductive chargers, and receiver pads for the buses. 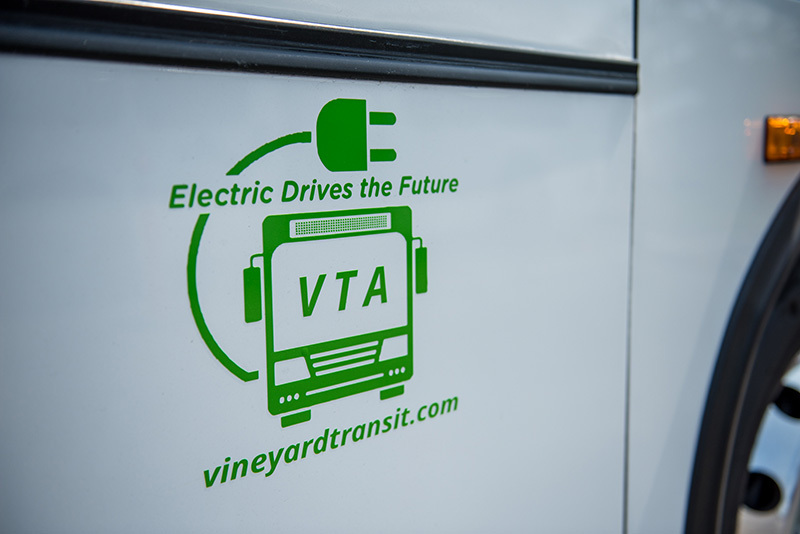 The VTA wants a station for each electric bus, and would also set up some in their Church Street, Edgartown, stop and their West Tisbury Town Hall stop. These remote chargers would help combat the biggest problem with electric vehicles, their range. Grant said this has been their biggest issue with the new buses, and that they’re going through a learning curve with their drivers, learning how to drive the buses more efficiently. She estimated a bus could run nine hours on a single charge if it was driven efficiently. The VTA also has plans to construct a solar canopy that will collect the power needed to charge these buses. 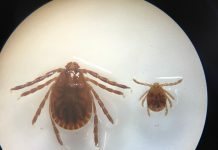 However, the contractor is financing that project, rather than the state or federal government. 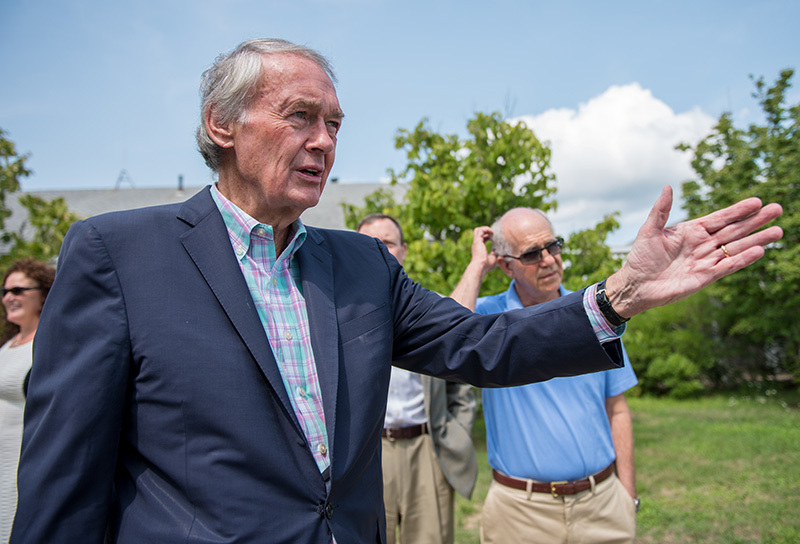 Markey seemed excited by both projects. Electrification of the VTA fleet, he said, “would put [the VTA] at the front of the country.” Markey was the chairman of the House select committee on energy independence and global warming from 2007 to 2011.